Whether you're building from scratch or planning a room addition, we have the electrical construction services for you. We offer a variety of effective solutions for electrical wiring in Gooding, Idaho. Home renovations or new commercial building projects need reliable wiring to keep the power running. We're here to design a custom electrical system for you or provide feedback on an existing design. Our home electrician contractors work with you to determine your needs and how we can help. Every client is unique, and we want that to show through our work. After consulting with you, we can give you an estimate. The work schedule is up to you. You decide when we start, and we'll work quickly and efficiently. Once we've completed the electrical wiring job, we conduct a final walkthrough with you to ensure your complete satisfaction. 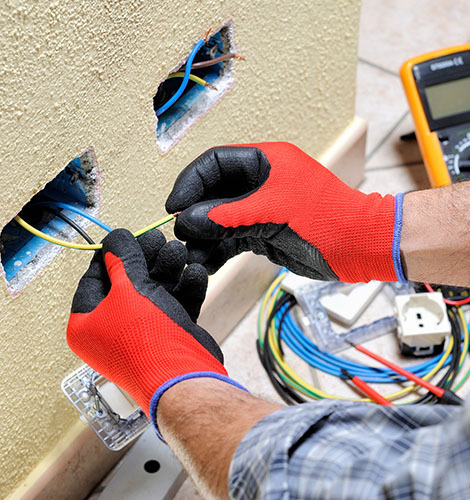 Additionally, we provide electrical repairs for homes with damaged wiring. All our work includes a warranty on parts, labor, and workmanship (excluding light bulbs), valid for up to one year. Rely on our residential electricians to provide your construction project with the electrical services you require. Alternately, we offer solar panel installations if you are interested in alternative energy solutions.